Electronic Adventures with Sopwith | "If it works out of the box – what fun is that?" 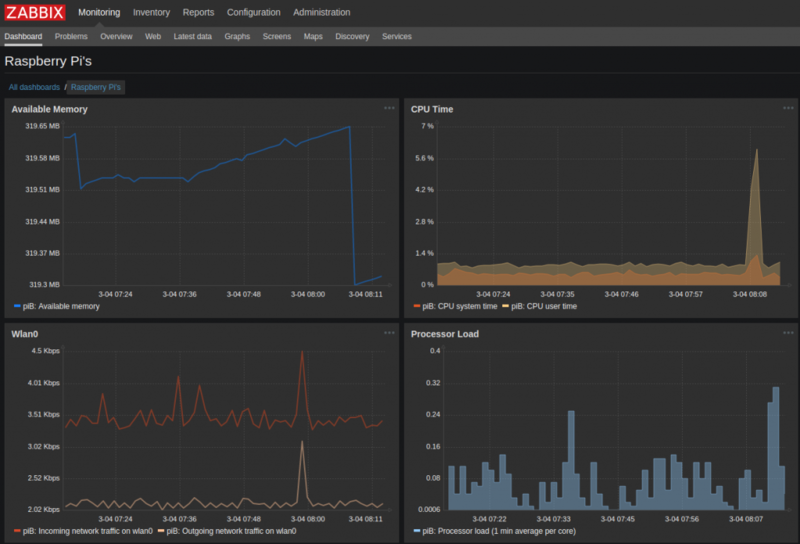 In my last post I showed how to install the Zabbix IT monitoring platform on a Raspberry Pi. This highly capable and flexible open-source platform provides the ability to track the status and performance of your Pi fleet. 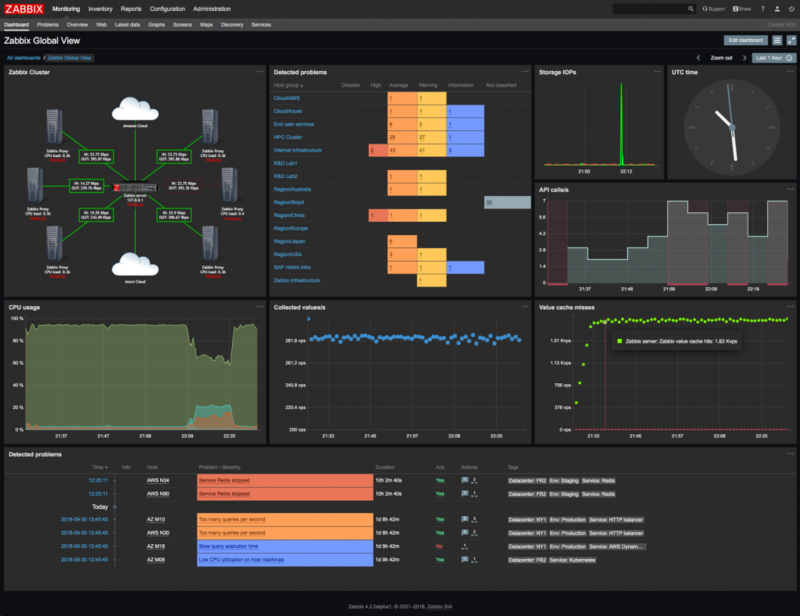 In this post, I provide the second part of a Zabbix implementation on a Pi: How-to install and configure the Zabbix agent and create dashboards on the server. You can download the detailed ‘How-To’ document in PDF format here. I received an interesting Email last week from someone who wanted to know if I knew how to monitor an AM2315 temperature sensor attached to a Raspberry Pi using a Zabbix server. My response? Ummm… What is Zabbix? After some brief research, I was introduced to another stellar open-source project with terrific documentation. Zabbix is a platform used by IT professionals all over the world to monitor their infrastructure. The platform consists of a server component and a deployable agent that runs on nearly anything. The agent is used to report back to the server performance metrics such as memory, disk, CPU utilization, and a boatload of other metrics. All in a beautiful and configurable dashboard. The Zabbix system is very flexible and allows the creation of custom agent commands that allow you to configure and monitor any platform. I was so intrigued by this newly discovered gem, I downloaded and installed it on a Raspberry Pi3. I have written a ‘How-To’ document that walks through the process. In upcoming posts I will show how cool this platform really is. 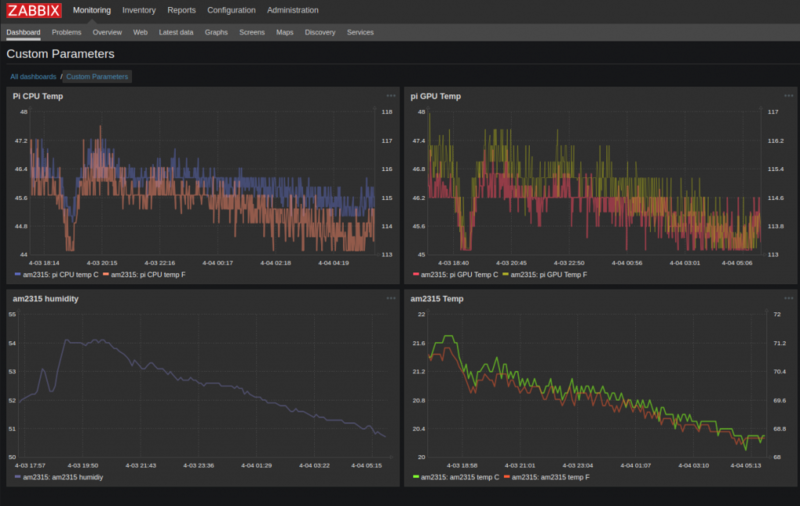 In fact, I will even show how to report temperature sensor and other data to a Zabbix server. For Makers that need an accurate clock for their projects, the Raspberry Pi does not have one. In order to save costs and board space, a hardware clock is missing in all versions of the Pi. Fear not. There are many options available if you need an on-board clock for a project. I have written a ‘How-To‘ document that walks through the details of getting a real-time clock (RTC) up and running on a Raspberry PI. I know there are plenty of resources on the Web that show how to do this, but I like to take the extra time to write a complete document, not just a list of bullet points. Makers that are new to the Raspberry Pi and its SBC brethren appreciate having the screen-shots that make it easier to follow along. As long as my ‘How-To’s’ help beginner or intermediate Makers create cool things, I will continue to write documentation. You can download the ‘How-To here. Hello to all my smoke-eating Maker friends. O’l Sopwith has a story to tell. In my February 1st post, I posted the pure Python source code and updated the implementation documentation for the ever-so-popular AM2315 temperature sensor. I did this after receiving an Email from a fellow Maker who wanted to know why my sample AM2315 code did not work with Python3. The day after I published that blog entry, a comment was posted stating they could not get their sensor working. The AM2315 was visible in the i2cdetect test, but it would not return any data. The Python code crashed and burned. About the same time this was going on, the mate who asked about the Python3 port downloaded and tested the new code. He could not get it to work either. Thinking he had a bad sensor, he set up a test harness and tested his sensor on an Arduino. It worked fine. After some fiddling around, he determined the MAXREADATTEMPT = 3 on line 23 was too small a value. He changed it to 10, and his sensor worked fine. 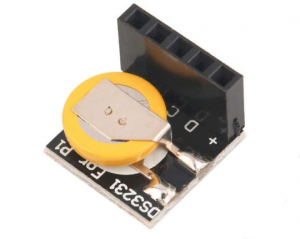 After more than 5 years, I still get an occasional Email from Makers who ask questions about the Aosong AM2315 temperature/humidity sensor. I got one this week asking why my AM2315 python code did not work with Python3. This nudged me to take a look at my code and figure out what it would take to get it to work with Python3. Next thing you know, I decided to remove the underlying dependency on any C code libraries and ensure my sample Python code works in both Python2.7 and Python3 without modifications. To do this, I rely on two Python modules. The first is the great code written by our friends over at Adafruit. They have created a Rapsberry Pi GPIO code module written in pure Python. The second module is from the innovative folks over at SwitchDoc Labs. I have updated the AM2315 Implementation Guide with the new changes. I also modified the SwitchDoc code so that it will work with Python3. You can download the updated implementation document with a code sample here. Thanks to Adafruit and SwitchDoc Labs for being a part of the Open Source community. 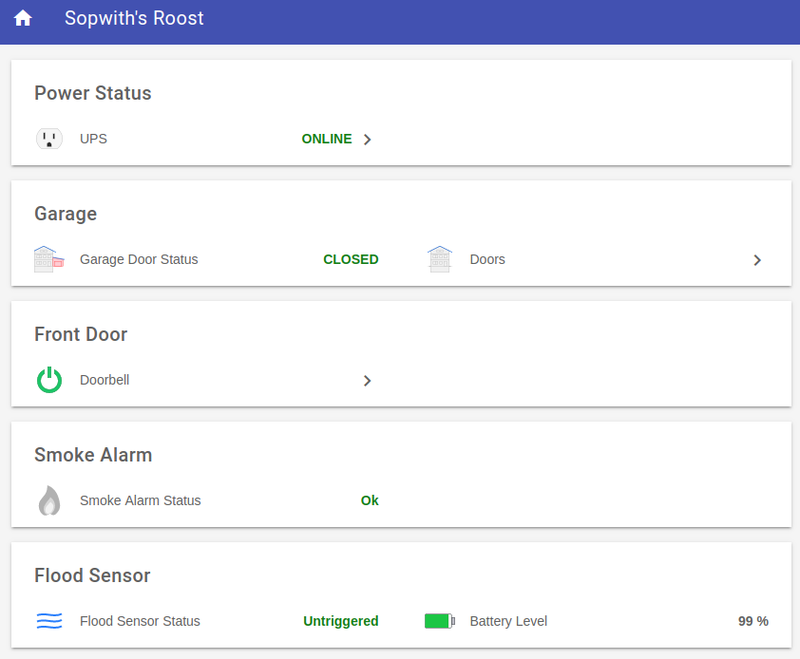 This is Part-III of an ongoing series of Ol’e Sopwith’s adventures with a home automation project. Part-1 started off with the ambitious idea of doing a bake-off between openHAB and Home Assistant. In Part-II, I learned the openHAB platform and achieved all of my goals of getting numerous Z-Wave devices on-line. I even took the time to create a detailed openHAB “How-To” to assist those of you that are new to the platform. Very happy with the results. Here in Part-III, my plan was to do the same with Home Assistant. Dig into the bits and document how it works. My hope was to get all of my Z-Wave devices behaving the same way in Home Assistant (HA) as they were in openHAB. Not so fast Shirley. From the moment I started to learn HA, I ran into problems. For example, I started on this page, “Install Home Assistant”, and followed the instructions exactly. I burned the image and booted the Pi. Notice the below instructions 6-8. Hello smoke-breathing brethren. Ole’ Sopwith is about to embark on another hacking adventure. This time it is all about home automation. Yes, it seems I am a little late to the party – but hey – at least I showed up! There are two goals to this project. 1) To learn something new, and 2) To have fun. Wait a minute! Those are the goals of every Sopwith project! Yes – but this project should be really interesting. In this multi-part blog series, I am going to compare the two leading open-source home automation platforms: OpenHab and Home Assistant. 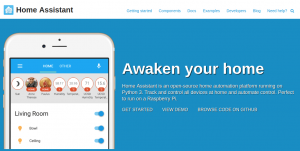 OpenHab is a Germany based open source project founded in 2010. It is written in Java and is based on the Eclipse SmartHome platform. It has a very active community with a very large pool of developers. It provides the ability to integrate hundreds of home automation devices, regardless of manufacturer or whether is it open or closed hardware. The cool thing about OpenHab is that it provides a mechanism to build a complete home automation environment and keep it private. 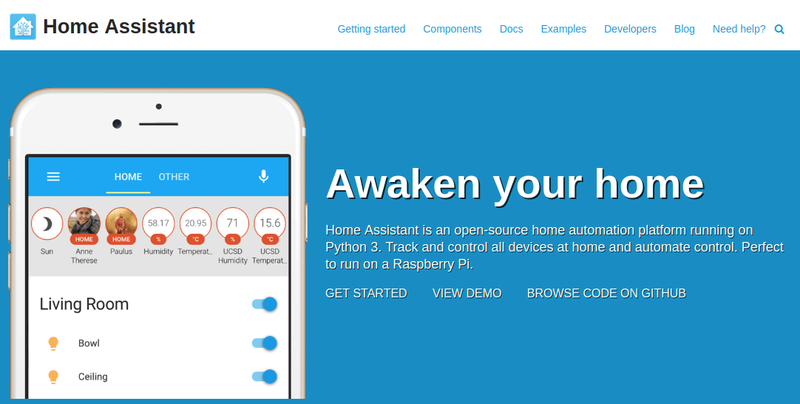 Home Assistant is another very active open-source home automation platform written in Python3. It also has a vibrant and active community. Founded in 2013 by Paulus Schoutsen, it began as a simple Python script to turn on some lights when the sun set. In my previous posts in this series (I-III), I added night vision capabilities to the very cool NatureBytes wildlife camera kit. As in all maker projects – improvements had to be made. Once I placed the night-vision capable camera in the field for testing, I discovered the LISIPAROI IR light board cannot be used in the wild. The device is just not powerful enough. If is fine for close-up work, but outside? Forget it. It was time to turn disappointment into action. Plus, if it worked out of the box – what fun is that? Time to get serious. As I searched the web, I discovered weatherproof 12V IR lamps are cheap. 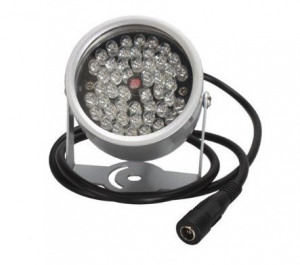 These are designed to be used with CCTV cameras, most of which are 12 or 24 VDC powered. I purchased a pair for around $16 USD. The one I chose is made by a company called Phenas.